One of the best things about using steel racking is the durability and strength of its material. Steel is a vital part in any form of construction and storage. It’s even used in racking systems for the various storage requirements of warehouses, industrial workplaces, and even homes. What’s more is these steel racks are finished with layers of paint or powder coating to further ensure resistance to rust and other surface damage. These racks are definitely built for hard work and are built to last. The customizability of steel racks makes it easy to fit any type of warehouse and storage plans, as well as any sort of storage requirements you might have. Everything can be customized when building steel racks, from its dimensions and other pre-assembly requirements, all the way to the assembly method and even the paint color. Aside from its high customizability, steel racks also provide adjustability that you can count on anytime you need it. If you have an unusually heavy item or a large number of items to store in your warehouse, you can use the existing system and reinforce it with center supports to increase its weight handling capacity. The height of the shelves can also be adjusted, by simply removing a layer or two, to create more space between each layer of the shelf. Rack storage allows for easier inventory, finding, and retrieving any item in storage. This increases the efficiency in storing, sorting, locating, and retrieving items at any given time. Another advantage of increased visibility is that it’s easier to organize the items on the rack, resulting in a more organized and efficient work environment. 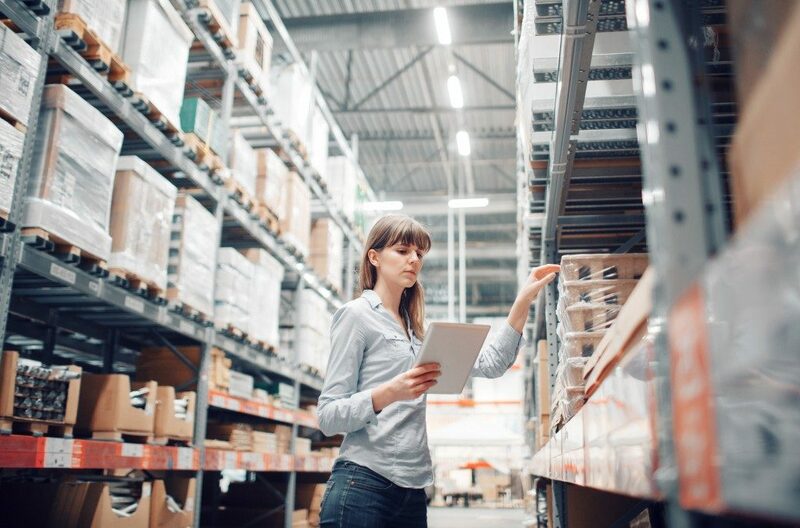 Improved visibility could dramatically increase productivity and reduce the amount of time spent on locating an item. It also makes way for a more effective handling system, where one can simply refer to an inventory guide to identify the rack, shelf, and item number of the object that needs to be retrieved. The same procedure can be used for inventory, making it easier to keep track of everything that’s inside the warehouse. Considering the points mentioned above, steel racks prove to be the most cost-effective solution for all your warehouse storage and sorting needs. The customizability and flexibility, combined with its natural durability, make it an all-in-one solution for different storage requirements. It’s scalable, easy to maintain, and long-lasting — things that equate to savings — and you will not need to replace or purchase new equipment whenever your warehousing demands and needs change. In a fast-paced work environment, efficiency is the key to achieving maximum productivity. Steel racking systems can significantly improve the organization and storage methods employed in your workplace, resulting in greater productivity and increased work accuracy. Find the best racking solution for you at this website and get more information about the perfect steel racks for your workplace.